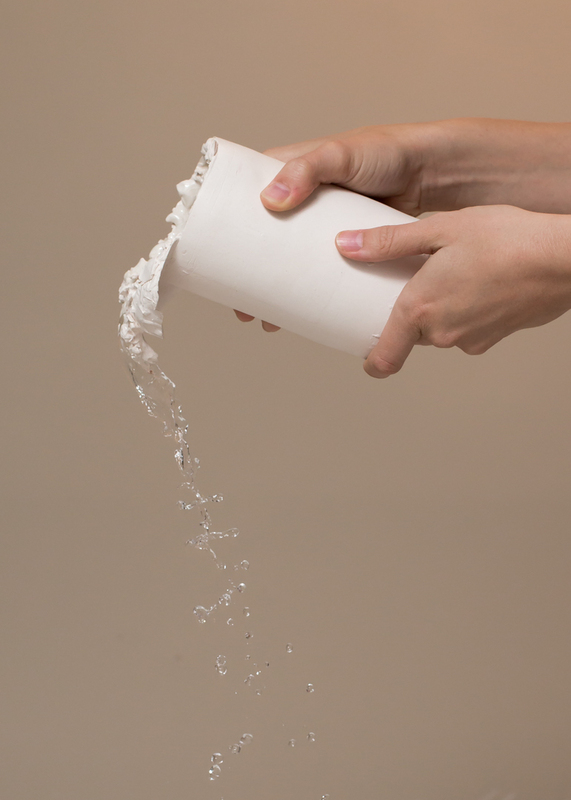 Pouring was a research based project using slip casting as a tool for instigating and studying social relationships. The molds, which mimic a pitcher and cup, refer to a giver and receiver, or a speaker and a listener. 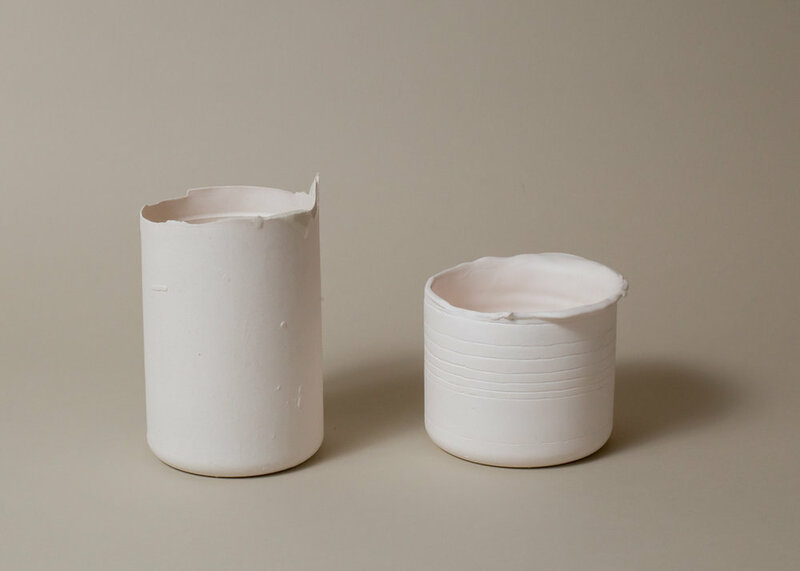 I used these molds in intimate settings where I invited friends and acquaintances to create a cup and pitcher set with me; similar to sharing a coffee, or a drink. The only “rules” were that they were the pitcher (pourer), and I was the cup (receiver). The process begins by filling the pitcher mold full to the top with slip. For the duration of the exercise, the pourer must pour, at any interval, the slip into the cup. The process should take at least 20 minutes, but there is no time limit. I prioritized listening, and wanted to leave most of the space open for them to share/pour. 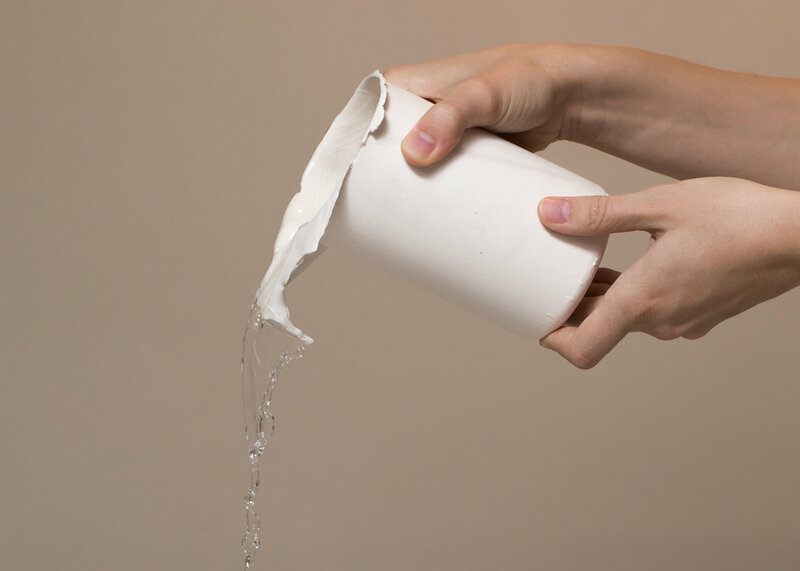 Since the slip was being poured into the cup at different intervals, lines were created on the outside of the cup. These lines were of interest to me, as I wondered if physical pouring would correlate with an emotional pouring, or if it would correlate with anything. This research is coming soon. Seven sets of pitchers and cups were created with long time friends, new friends, and a romantic partner. The shapes of the pitchers and the lines on the cups vary depending on the person’s pouring, the clay qualities, and the duration of the conversation. 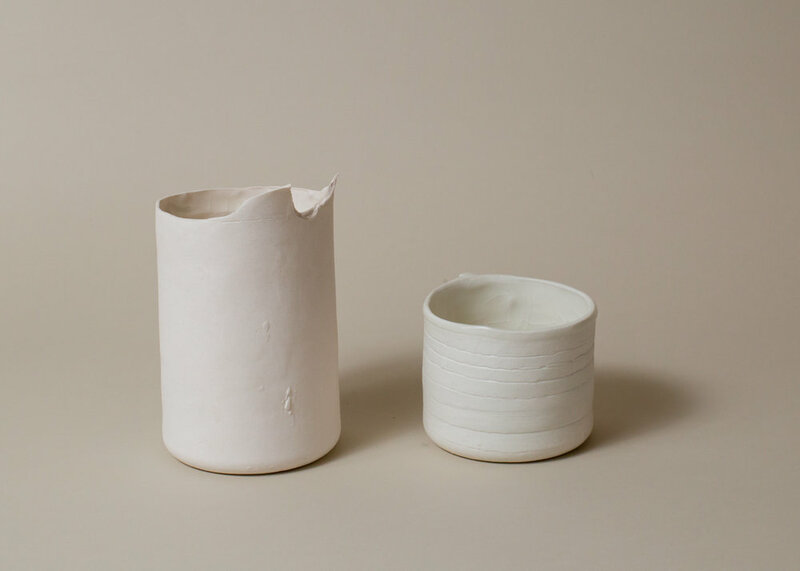 The final function of the cups and pitchers is to be decided by the collaborative pair that created them. This function can change overtime as needed to support this pair and their relationship. I consider this project an ongoing from of Artistic Research investigating the following questions: How can a process of manufacture be a metaphor for something else? How are humans like vessels/pitchers? How is emotional weight transferred from one human to another? How can slip-casting, the filling of negative spaces, be used to fill voids in each other? If someone is performing a pouring action (like with slip-casting) are they more likely to simultaneously emotionally “pour out”? How can a method of manufacturing be more intertwined into everyday activity? What does it mean to make processes which are both productive and social/emotional? How is emotion labor? How is labor emotional?